When you think about long-term survival after the zombie apocalypse, you probably don’t think about fixing things if they break. Or even fixing things you find and putting them to good use. 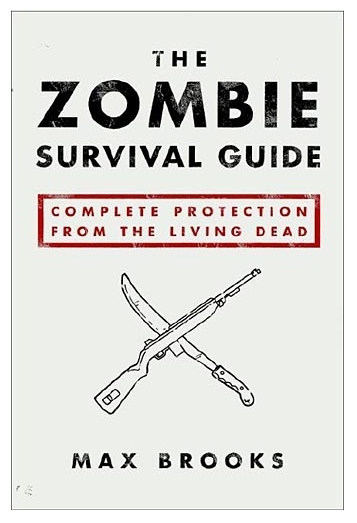 As your group escapes, evades and ultimately finds a safe haven from the zombie throngs, they’re going to need a reliable way to fix and build things. That’s why it’s important to have a good all around, self-contained tool kit at your disposal. Whether you’re getting an escape vehicle running, or putting the finishing touches on your fortress in the wilderness, you’re going to need some good tools to get the job done. With that being said, you don’t want to have to carry a gigantic toolbox all over the world just in case you need a screwdriver. So what we’ll talk about today is a kit that covers all of the essentials without breaking your back to transport it. 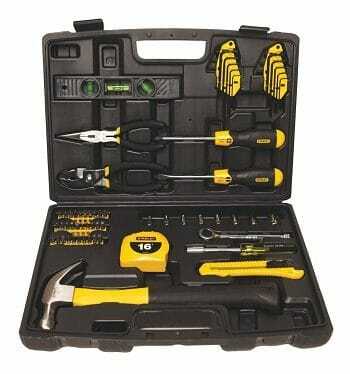 This kit has everything you’re going to need to handle any day-to-day maintenance issues that may arise. The Homeowners Tool Kit contains a hammer, a ton of Allen wrenches, ergonomic socket drivers and sockets, actape measure, every screwdriver head you could imagine, box cutters, pliers and a level. If this kit doesn’t have what you need in it, the problem is probably more trouble than it’s worth to fix. I don’t know why they call it Homeowners Kit, they should call it the “Homebuilders kit” because that’s what you’ll be equipped to do once you’ve got this set in your possession. A group may want to carry more than one set depending on their size as that will allow more hands to be working simultaneously. Remember, we’re surviving first and then rebuilding, so lets make sure we’re equipped for the long-haul!